When Apple's iTunes was introduced back in 2001, it rekindled my interest and purchasing of music. I was so excited by the program that I immediately started converting all my rather large collection of CDs into MP3 tracks. I then sold off my CDs and remaining vinyl albums, and used the money for additional iTunes purchases. iTunes made managing and listening music a wholly different experience. But in the last few years, iTunes has taken a back seat to streaming music services, which I find a cheaper and better way to listen to music. If you don't know about sites like Rdio.com, read on and find out why you should consider using a streaming music service over iTunes. In case you don't know, streaming music over the Internet simply means listening to music via a website like Rdio.com, Pandora.com, Last.fm, Maestro.fm. These sites have huge libraries of music, and provide unlimited access to their music catalogue to registered members. 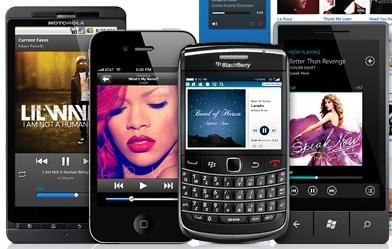 As long as you have an internet connection and a membership to one of these sites, you will have access to an abundance of music on your computer and mobile phone. When you purchase and download music tracks from iTunes, they end up using space on your computer hard drive or external drives. Your purchased tracks are yours to keep, but the larger your iTunes library grows, the more memory space you will need to maintain it. You will also need to back up those files, because if you ever experience hard drive failure you could possibly lose your investment in all the music tracks you purchased. 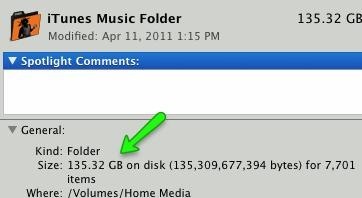 My current iTunes library contains over a 130 gigabytes of music and media files. It would probably be twice that much if I were still purchasing music from the iTunes Music Store. With Rdio.com and other streaming music sites, the music you listen to is stored on a server beyond your computer. This means you don't have to download music to your computer or back up your music to another hard drive. With iTunes, you are limited to only listening to music you purchase. Albums typically run between $10 and $15. The collection of music on iTunes is huge, but it becomes very costly to download and access it. With Rdio.com, you can listen to any album or song in the site's library, anytime you like. If you end up disliking an album, you have not wasted money purchasing it when using Rdio. The only downside to Rdio is that new albums and songs may not be immediately added to the site when they are released. Rdio includes a social networking feature whereby you can discover music through the contacts you make on the site. I have a handful of dedicated jazz listeners on Rdio who are essentially my personal DJs. When I'm looking for a new artist or album to listen to, I check out the playlists of my contacts. Likewise, I influence the music listening of people who follow me on Rdio. 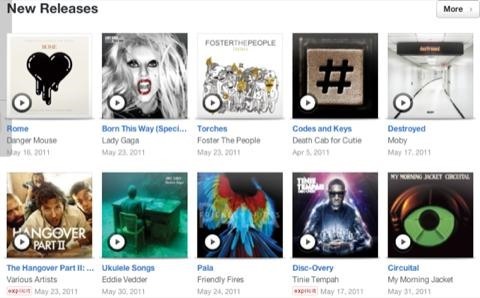 Apple has introduced a social network feature in iTunes, called Ping, but again its use depends upon the purchasing and downloading of music from their iTunes store—a place where most music aficionados are not going to hang around. Rdio's basic web streaming service is $5 per month ($60 per year). You can listen to as much music as you like without paying an extra dime. You can listen to music on the site via any supporting web browser, and/or you can download their Rdio Desktop Player, which is similar to browsing and playing music on iTunes. Either way, you're streaming music to your computer. If say you just listen 15 albums on the site in one year, it will cost you over $150 to pay for and download those albums from the iTunes Music Store. With Rdio, your monthly subscription will end up costing only a few pennies per album, because you have a huge smorgasbord of unlimited music to listen to. You can also purchase albums on Rdio for about the same price or cheaper than on iTunes. But in the long run you're going to save a lot more money by simply streaming music from a streaming library rather than purchasing it outright. To listen to music on your iPod, iPhone, Android, or BlackBerry, you need to copy it from iTunes onto your device. It's great to have music files copied to your mobile device, especially for occasions when you don't have Wi-Fi or 3G access to listen to streaming music. 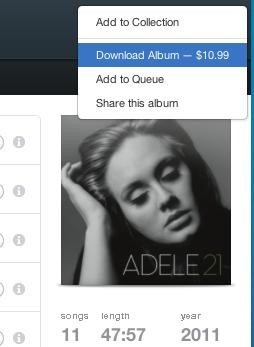 But with Rdio, you can pay an extra $5 per month, $9.99 total, and get unlimited access to the site's music catalogue. It's almost like having a hundred gigs of music on a 16gig iPhone. Next week, starting June 6, Apple will be introducing their iCloud service. iCloud will probably enable users to listen to their purchased iTunes Store music over the Internet. This is great, but it is likely that it will not be as good as using a streaming music services like Rdio, in which you get unlimited music access. There are certainly some benefits of downloading and owning music tracks, but if you like listening to fresh music on a weekly basis, a streaming music service is the more economical way to go. I have been using grooveshark for about a year. It lets you access most of the same features for free. Unlimited streaming, custom playlists, Facebook incorporation. Only downside is the mobile features are more expensive at $9 a month. I've been reluctant to convert from downloading, but it does make more sense. I've used rhapsody quite a bit, but have found the selection limited at times. I suggest giving Rdio, a similar service, a trial run and see if contains the music you like. Because I'm a modern jazz fan, I'm not always looking for brand new releases. Rdio is simply cheaper than buying music I might listen to only a few times.